Below are the list of today's Amazon kids giveaways. 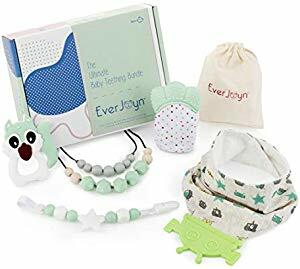 The standout item for today is a baby teething set. 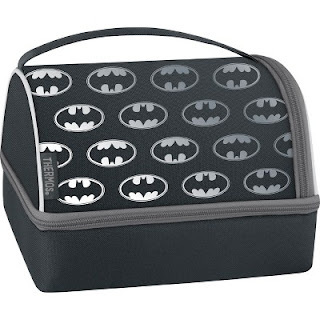 Target has started putting lunchboxes on clearance and some of them are already at 70% such as this nifty Thermos Batman one. Check Brickseek if they are on sale near you. 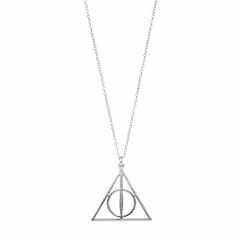 Got a Harry Potter fan? Kohl's currently has necklaces on sale for $19.99 (originally $40). They have the deathly hallows, Hogwarts, mischief managed, the firebolt and the Griffindor Crest. If you subscribe for text alerts by texting SAVE24 to 56457 you will receive a code for 15% off your order, dropping the price to $16.99. Recycle a car seat from September 9 to 22 at Target and get a 20% off coupon to save on a new seat, stroller or select baby gear. Have questions? Visit their FAQ page. The 3-pack of 8 Oz Dr Brown's bottles are currently reduced to $8.34, down from $19.99. These bottles helps significantly reduce gas, colic and spit-ups. 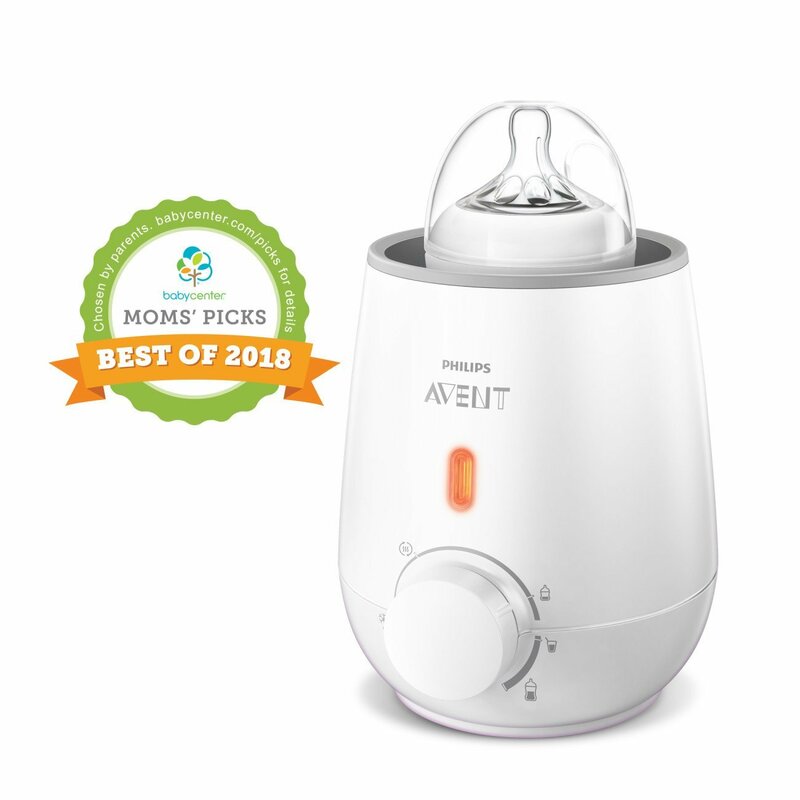 Amazon has reduced the price of the Philips Avent bottle warmer from $39.99 to $20.36. This is a Best of 2018 Mom's Pick and Amazon Choice product. 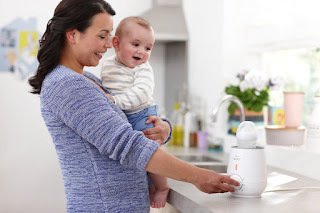 Once switched on, the warmer gently heats bottles and baby food within three minutes. 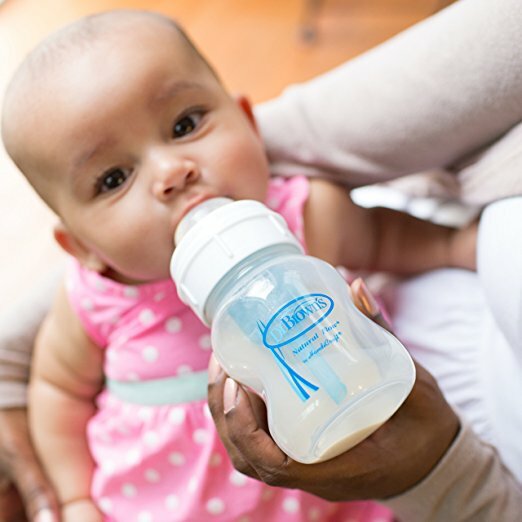 The warmer heats bottles and baby food safely and evenly and won't cause hotspots, so you can be sure the internal temperature is safe for baby. The warmer is fast and easy to operate - just plug in and flip the on/off switch. A neon light lets you know the unit is on. Just add water and turning the dial. A light will blink to indicate that the contents are properly warmed to a safe temperature. 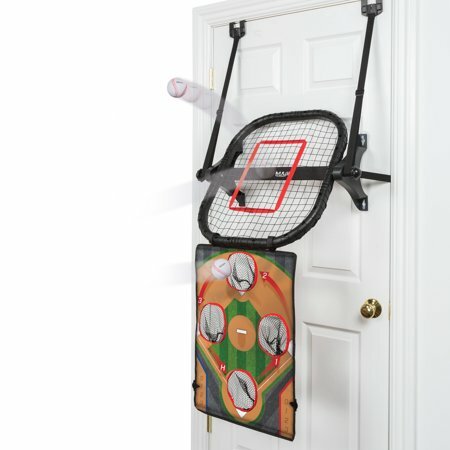 Walmart has super reduced this over the door baseball/lacrosse trainer from $19.66 to $3.97. Kids can throw out the base runners or flip the double sided target mat and fire shots at the lacrosse The multi-position pitchback with adjustable angle allow for grounders, pass and catch, or fly balls. Comes with one over the door pitch back net, one double sided target mat, three foam baseballs, a lacrosse stick and a foam lacrosse ball. 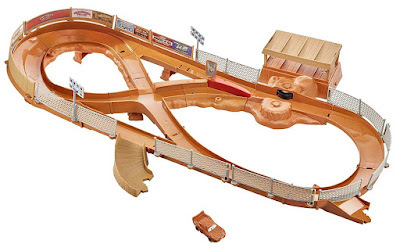 Amazon has reduced the price of the Disney Cars 3 Criss Cross Track to $26.10, originally $47.99. This set features crashing and competition action. It comes with a 1:55 scale Lightning McQueen mud-covered vehicle. Kids can re-creating crazy 8 races. The motorized booster keeps vehicles racing around the track. Surprise the kids and get them to wash their hands by placing these fall themed soaps in your bathroom. Bath and Body Works is having a today only sale for $2.96 (regularly $6.50) Scents include fall bucket list items such as jumping in leaves and apple picking. Carters is having a 60% off flash sale today on all of their Halloween apparel including pajamas, t-shirts and costumes. It is online only. Baby costumes start at $6.40 (regularly $16). Kids pajamas are as low as $8 (regularly $20). And kid costumes start at $16.80 (regularly $42). 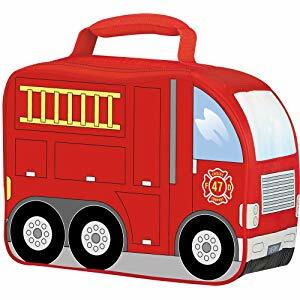 Amazon has reduced all of their funtainer Thermos products for kids by up to 40% as their deal of the day, including this firetruck lunch kit, previously $12.99, now just $8.55.